A timeless classic! Youngsters will love "galloping" around on their trusty steed. 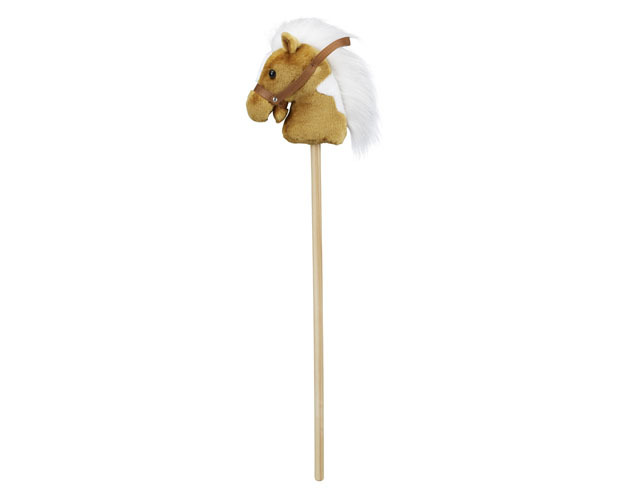 This stick horse features a soft plush head, and makes real horse sounds when its ear is squeezed! Stands 37.5" tall. Batteries included. © 2019 Horse tack shop equine supplies - Stablemates Inc - English Western horse saddle, All Rights Reserved.